Michael Jackson, one of the two or three biggest pop-music icons of the second half of the 20th century, died of a heart attack at the UCLA Medical Center in Los Angeles earlier today. Jackson was 50. Beginning July 12, he was scheduled to give a series of already sold-out London-area shows – 1 million tickets were gone within a matter of hours. Despite his enormous success – 750 million albums sold worldwide; 13 Grammy awards – Jackson's life a difficult one. The little black kid with the great melodious voice grew into an androgynous adult whose skin became increasingly lighter with the passing of time. (The skin disease vitiligo was reportedly the culprit.) Jackson's facial features also kept changing dramatically, while his public behavior and lavish lifestyle became ever more outlandish, including the instance in 2002 when he was filmed dangling his infant child from the balcony of a hotel room. He also got some flack following his use of the word “kyke” in one of his songs. Worse yet, Jackson found himself embroiled in a couple of pedophilia cases, the ugliest of which took place at a courtroom in Santa Barbara, a little over one hour up the coast from Los Angeles. The 2005 Jackson trial, which should have been serious business whether he was innocent or guilty, was turned into a nasty circus thanks to the paparazzi, the media, the crazy fans, and the showy district attorney involved in the case. Jackson was ultimately acquitted of the charges. From then on, he mostly kept away from the public spotlight. Just a couple of months ago, he was reportedly $24 million in debt. Curiously, Michael Jackson's feature-film acting career was all but nonexistent. 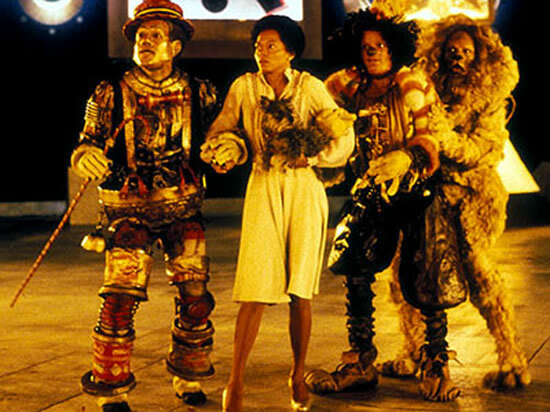 There were only a handful of cameos in films such as Men in Black II (2002) and Miss Cast Away (2004), and a supporting role as the Scarecrow in Sidney Lumet's expensive box office disappointment The Wiz (1978), a remake of The Wizard of Oz featuring an all-black cast that also included Diana Ross, Lena Horne, and Richard Pryor. 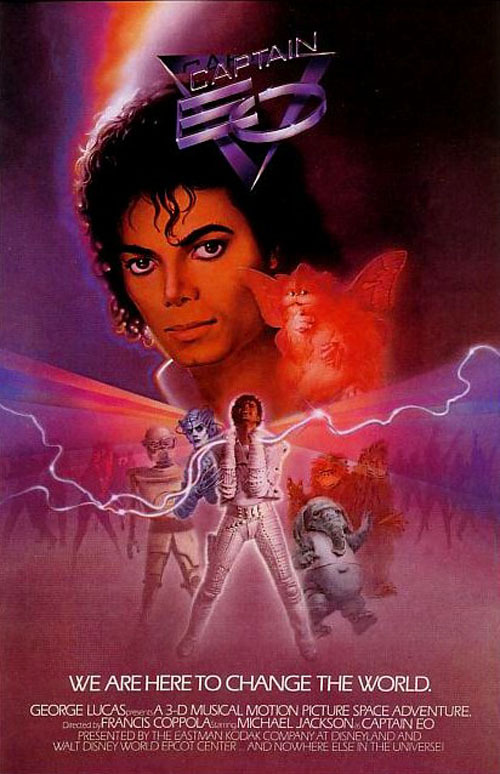 Jackson also appeared in several shorts, most notably in Francis Ford Coppola's (unimpressive) 3-D sci-fi adventure Captain EO (1986), co-starring Anjelica Huston, while his voice could be heard in the soundtrack of various films, including Ben (1972) and Free Willy (1993). A native of Gary, Indiana (born on August 29, 1958), Jackson was at one point married to Lisa Marie Presley, daughter of Elvis Presley. He later married an Australian nurse. I've never been a fan of the adult Michael Jackson, but a few of those old Jackson Five songs remain as moving as when I first heard them as a little kid. I am one of them MJs biggest fan and it was quite hard to handle the grief for his death. He is the most creative and talented man on earth and I inspire him very much. I love micheal jackson he will always be in my heart. may the family hold there heads up and look to the hills for with cometh your help. I have always love the jacksons I pray that this family have peace.may god bless you all. I was a fan of michael jackson i use to watch his videos all the time with my cousin when i stayed n atlanta with my aunt i just about know all of the songs on the tape . i hate that michael is gone and i will always keep his family n my prayers. i will never forget micheal and i hope that noone would continue with the lies about michael because he was awesome n my eyes and he will continve to be. if i couldve go to meet him i wouldve . i wouldve my boyfriend loves his music . i will keep the jackson family n my prayers .